Linda joined our team in 2013 bringing with her over 20 years of experience in the financial planning industry. 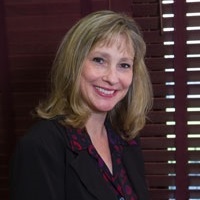 Linda strives to provide the best care possible to our clients and does so with a great attitude. Her excellent organizational skills and superb ability to accommodate client needs ensures they receive the top-notch attention they have come to expect from FFP Wealth Management. Linda resides in Morris County with her husband Joe, daughter Jessica, and cat Luna. In addition to spending time with family and friends, Linda also enjoys reading, volunteering at the animal shelter, listening to music, and attending concerts.